In japanese, Reiki means Universal Energy, it is original from Tibet and is one of the oldest healing techniques in the world. Reiki healing is a very complete treatment and works at four levels: Physical, Mental, Emotional and Spiritual. This level allow students to connect to the Reiki Energy as they are attuned by a Reiki Master. 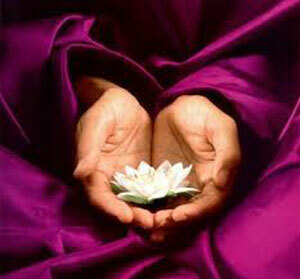 Students are taught "the hand positions for Reiki" in order to do Reiki healing either to ourselves and to others. Students will also learn different techniques and visualizations to purify and balance the energy of the chakras and aura. This course increases and improves the healing power of Reiki energy through the use of new symbols. This higher vibration allows us to do distance healing as well as healing at a physical and emotional level. The main objectives of this level are to achieve high awareness and to connect with our Inner Divine by tuning through the attunement of the third symbol. Students will experience changes in a subtle and rapid way. This level is aimed to all those who want to perform and teach Reiki healing. Students will receive the Reiki Master symbols and will be able to initiate others in Reiki.